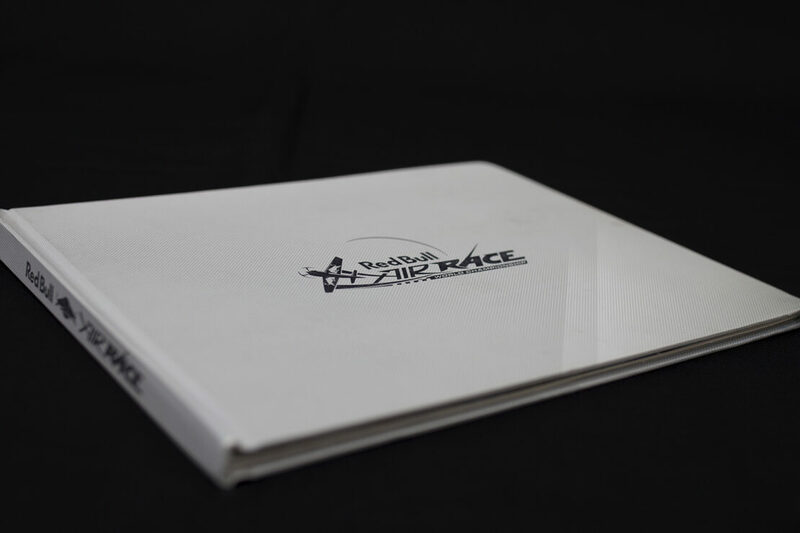 This case-bound pop-up book was part of a press package for the Red Bull Air Race World Championship in New York, providing background information about the sport and the pilots who competed. 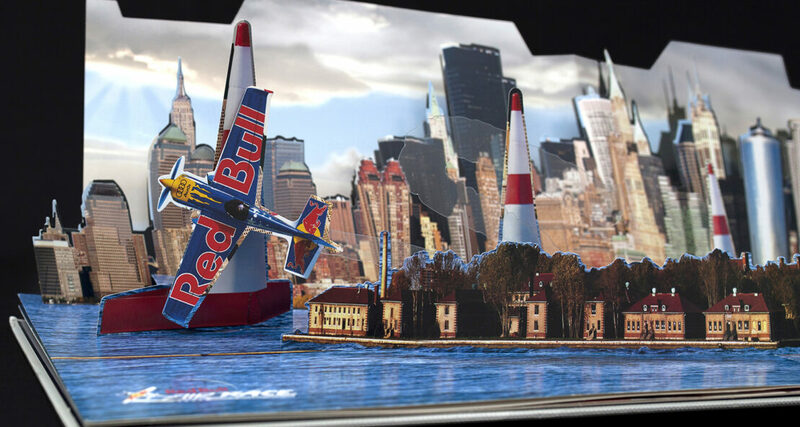 It features a dramatic double-spread of a stunt plane manoeuvring through obstacles, with the New York City skyline in the background. 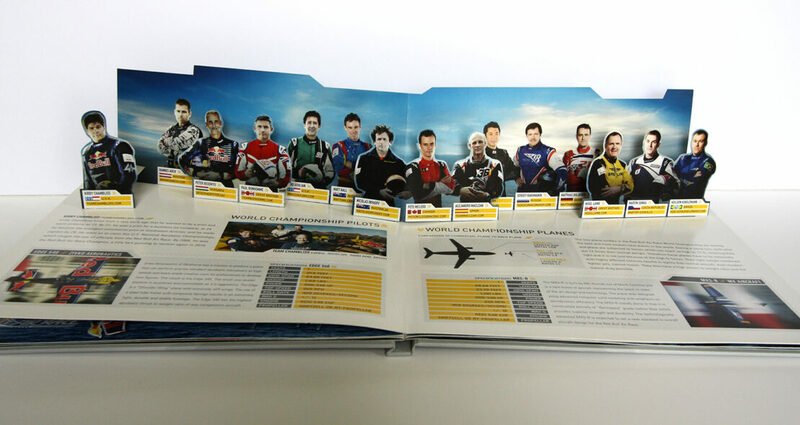 Another two-page pop-up shows photos of the pilots accompanied by descriptions.